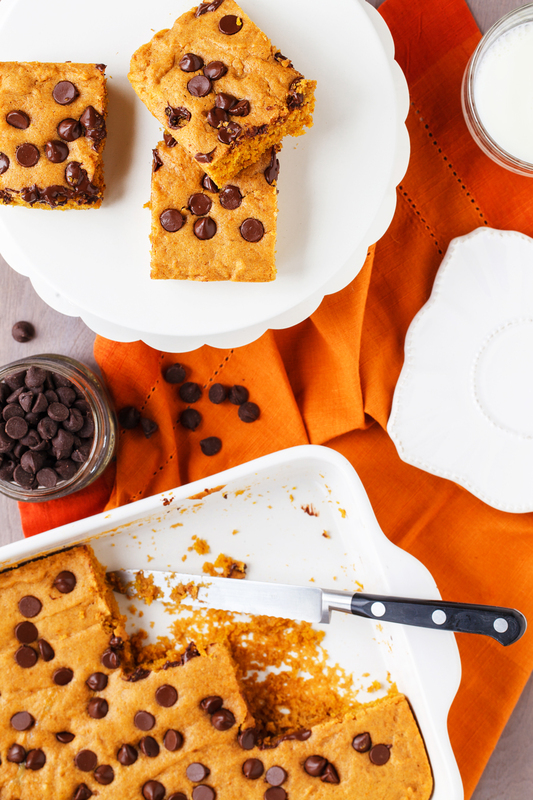 Pumpkin Chocolate Chip Bars are a yummy fall treat filled with pumpkin flavor, fall spices and topped with chocolate chips. 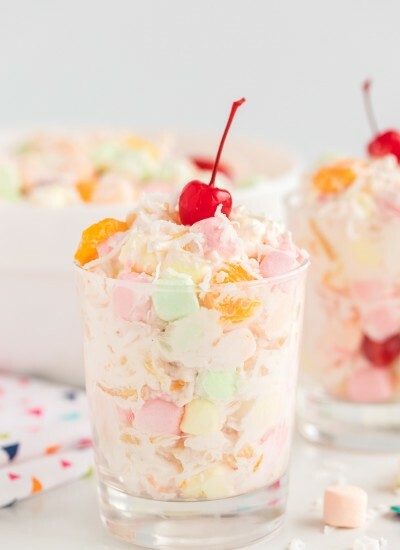 It’s a one pan dessert that is easy and tastes delicious! I love pumpkin desserts! It’s one of my favorite ingredients to cook with and it’s funny that I tend to only cook with it during the fall season. 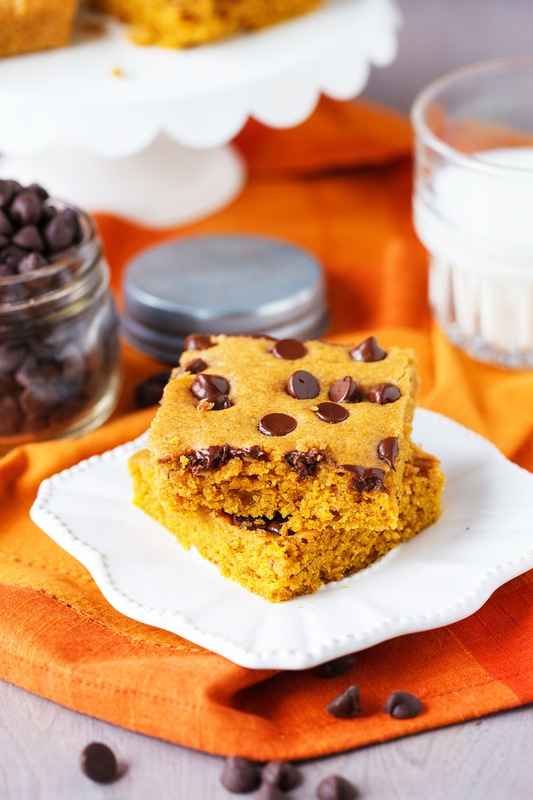 These pumpkin chocolate chip bars are such an easy dessert or mid-day snack and actually come together super quickly! I love a recipe that uses minimal ingredients and uses one pan. While I do enjoy baking cookies, sometimes I just want something I can throw in the oven and be done and these bars are just that! These pumpkin chocolate chip bars aren’t overly sweet which makes me feel a little less guilty while eating three of four little squares. 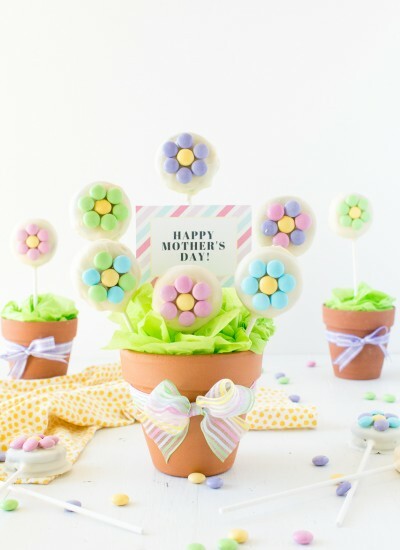 🙂 The chocolate chips at the top add the perfect bite of sweetness and just look so pretty! I definitely recommend eating these shortly after they come out of the oven. Melted chocolate and pumpkin is so heavenly! 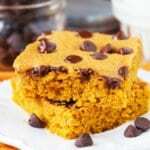 Pumpkin Chocolate Chip Bars are a yummy fall treat filled with pumpkin flavor, fall spices and topped with chocolate chips. 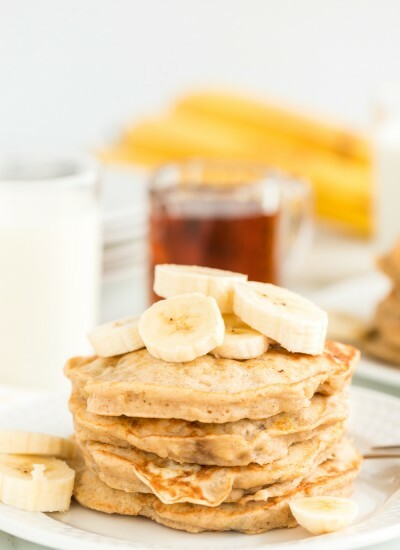 It's a one pan dessert that is easy and tastes delicious! Melt butter. Add brown sugar, vanilla,egg and pumpkin puree. Mix until fully combined. Add dry ingredients gradually. Mix well. Pour into greased 9x9 pan. Sprinkle with chocolate chips. Bake at 350 for 20-25 minutes. 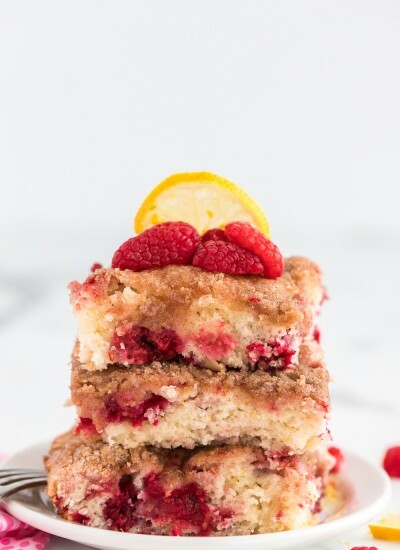 What I love about this dessert is that you can mix all the ingredients together in one or two bowls and bake it in the 9 x 9 inch pan. Which makes clean up a breeze! 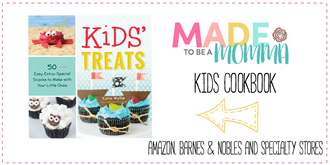 For more pumpkin desserts you should try these! 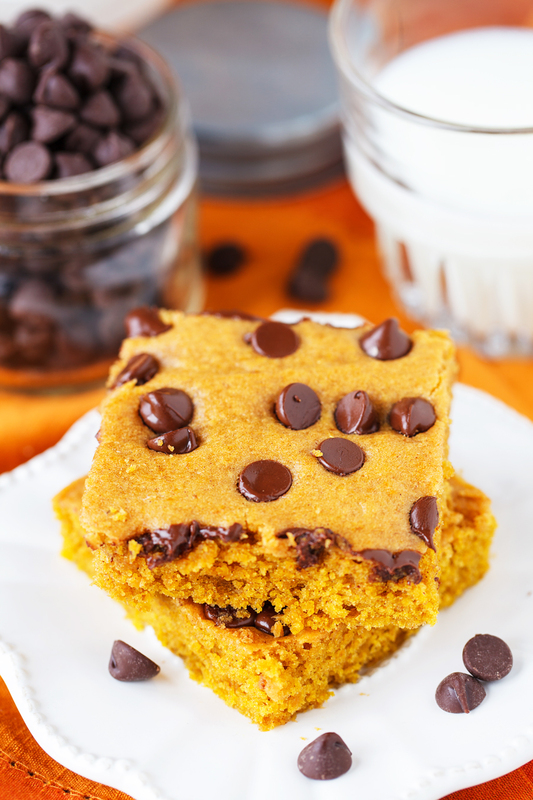 These look so delicious and the pumpkin adds a moistness and ups the fiber & nutrition! Thanks! Yum! 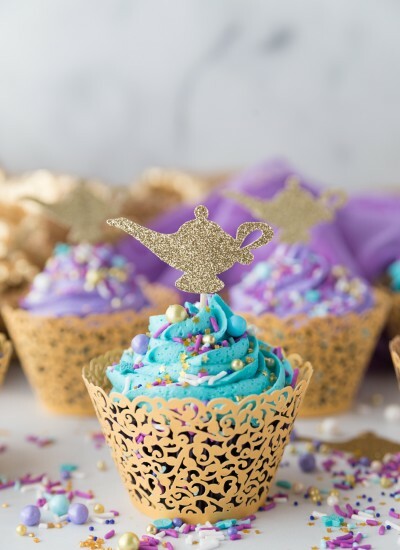 These look great, but your recipes always do! !